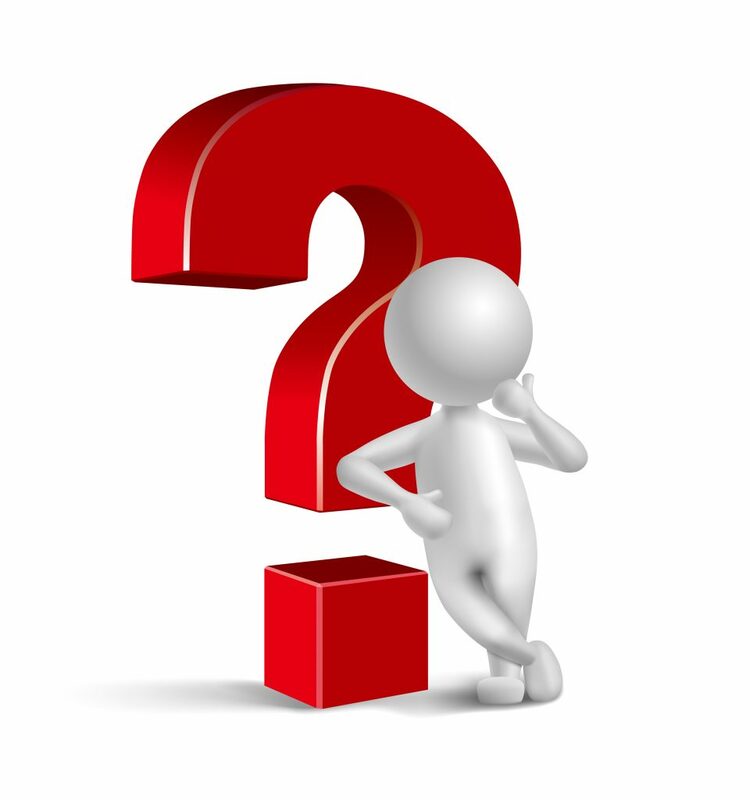 What Are the Top Metrics in Your Call Center? One of the most critical tasks of a contact center manager is prioritizing the metrics that will be monitored. As the old saying goes, “you can’t manage what you don’t measure”. What makes this task so daunting is the sheer number of metrics to choose from: Service Level, Customer Satisfaction Scores, Abandon Rate, First Call Resolution, Average Speed to Answer, Occupancy Rate, Net Promoter Score… the list goes on and on. Nearly every answer in the discussion put “Service Level” in one of the 3 top slots. This metric is defined as a pair of numbers: a percentage value and a time value in seconds. 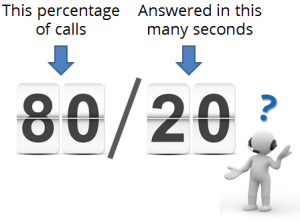 So, for example, an “80/20″ service level means 80% of calls answered in 20 seconds. For many call center managers, maintaining these service levels is a top priority. For some outsourced call centers (BPO’s) financial penalties (or even the loss of a contract) can occur if the service level isn’t met. Most experts agree that service levels should be based on what the call center can reasonably achieve given their resources and expected call volume. Coming up with this figure requires deep analysis and hard work. The logic behind this is easy to understand. Clearly call centers want to create happy and loyal customers, instead of frustrated ones that lead to angry phone calls (and tweet raging). However, the subjective nature of customer satisfaction makes it tricky to measure. First, you have to figure out how to pose questions to customers. For example, you can survey them via email, outbound telephone campaign, or by keeping them on the line after an interaction and using an IVR-based survey. Then you have to figure out what to ask. Net Promoter Score is a common approach, where callers are asked if they would recommend the company to a friend. Or companies can ask customers to rank their experience on a numerical scale. Finally, you have to figure out how to consolidate the results into a meaningful metric. One danger with an opt-in survey is “self-selection bias”, where only customers with very strong emotions (usually negative ones) participate, thus skewing the numbers. The group of “floor-level” metrics is, in a way, the opposite of the customer satisfaction group discussed above. These are objective, quantitative metrics that help fine tune the operation of the contact center. This group includes Average Speed to Answer (ASA), Auxiliary Time, Handle time, Adherence to Schedule, and many more. 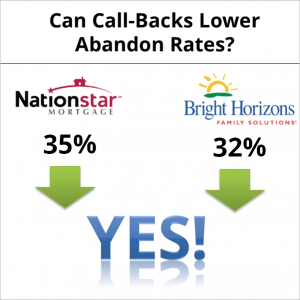 Abandonment rate is a metric that we discuss frequently because it’s one of the main reasons call-centers seek our call-back solutions. Abandonment leads to high repeat calling (which can strain the call center system) and, of course, dissatisfied customers. Need to Lower Abandonment Rate in your Call Center? What metrics are you tracking in your call center? How did you choose them? Which one drives the most decisions? Let’s chat! Your call center operates in a stressful environment where good quality metrics lead to a higher standard of customer service. 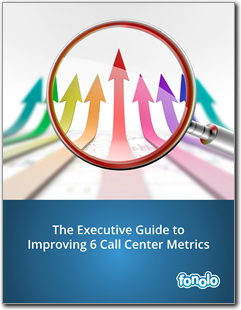 Download our free guide to help you improve 6 key call center metrics for better performance and future success.